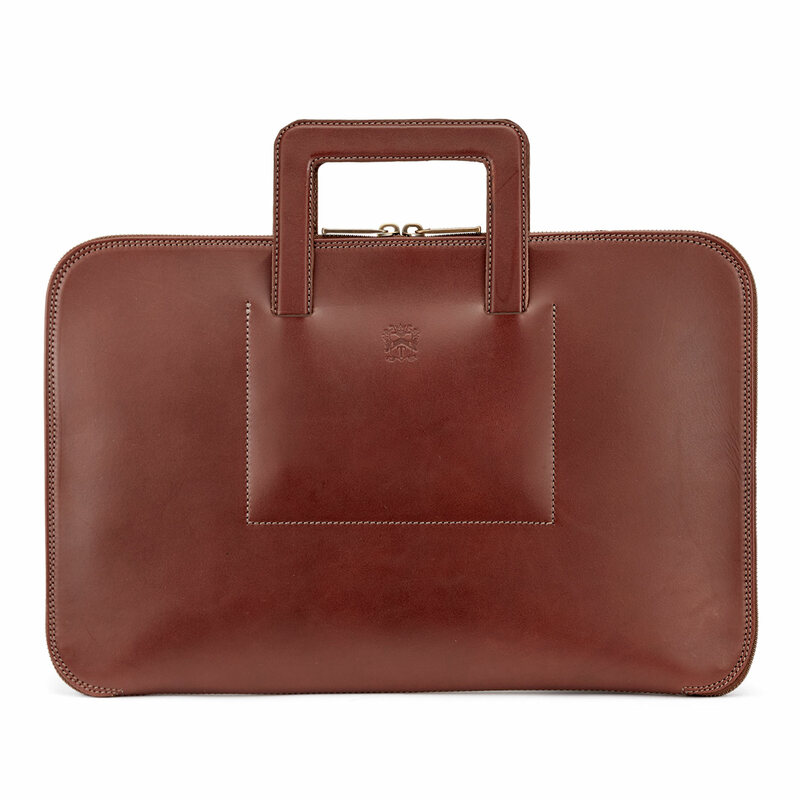 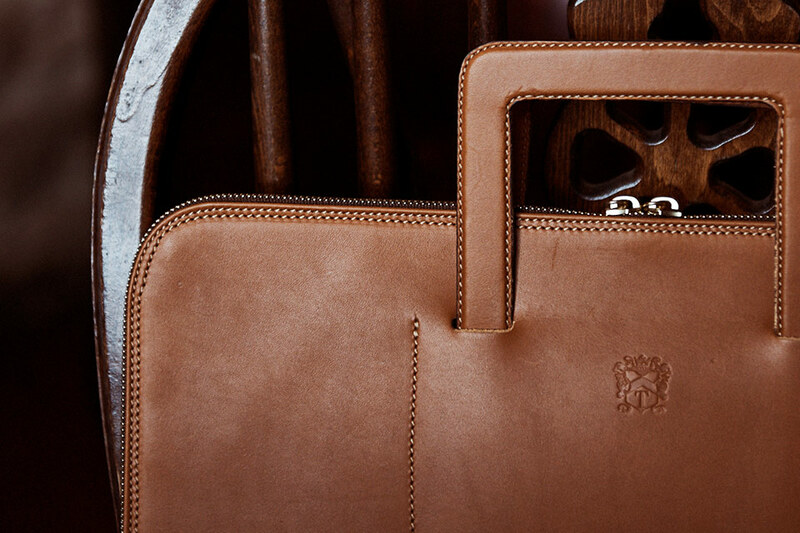 Bridging the gap perfectly between leather document folio and briefcase, the Westminster has retractable handles so that it may be carried under the arm, or as a briefcase. 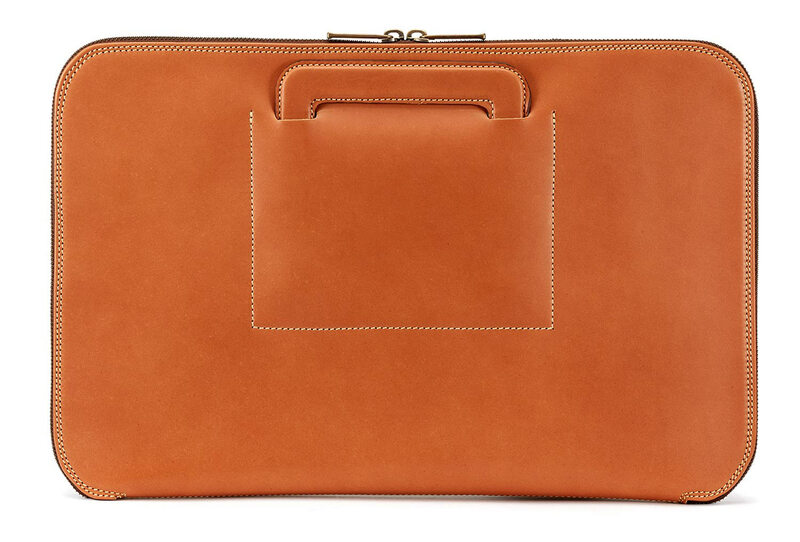 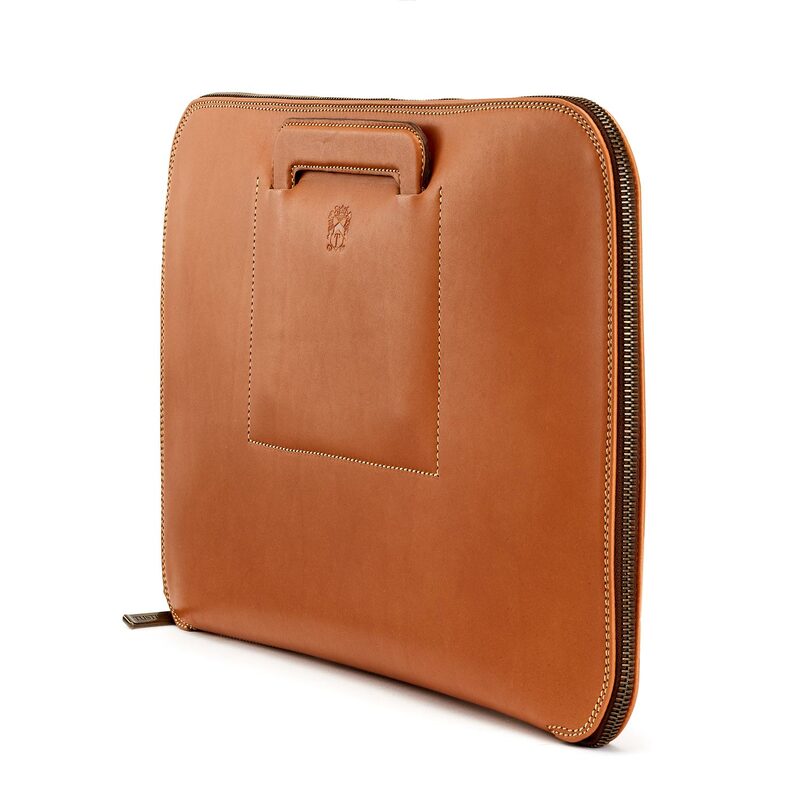 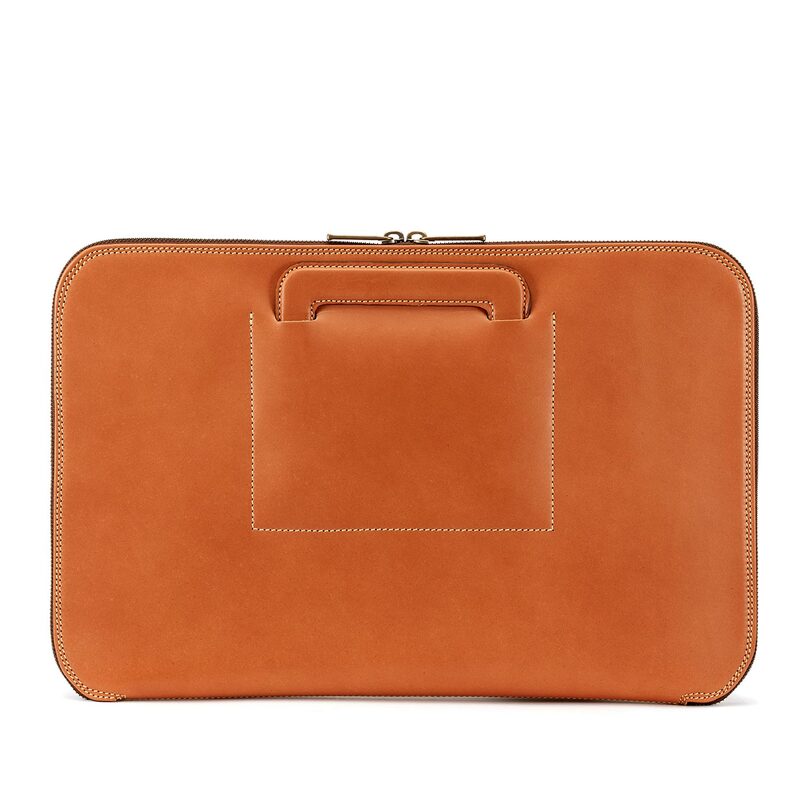 Handcrafted in our Tan Atlantic leather and fully lined in soft calfskin, Its slim padded form accommodates meeting papers whilst protecting an iPad or slim notebook computer, phone, pens and cards etc. 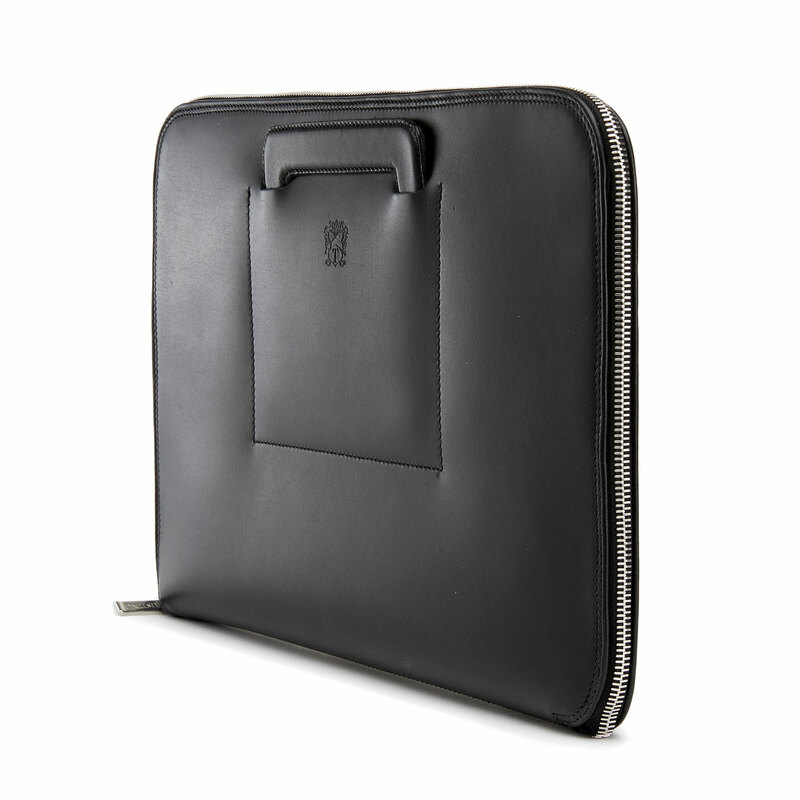 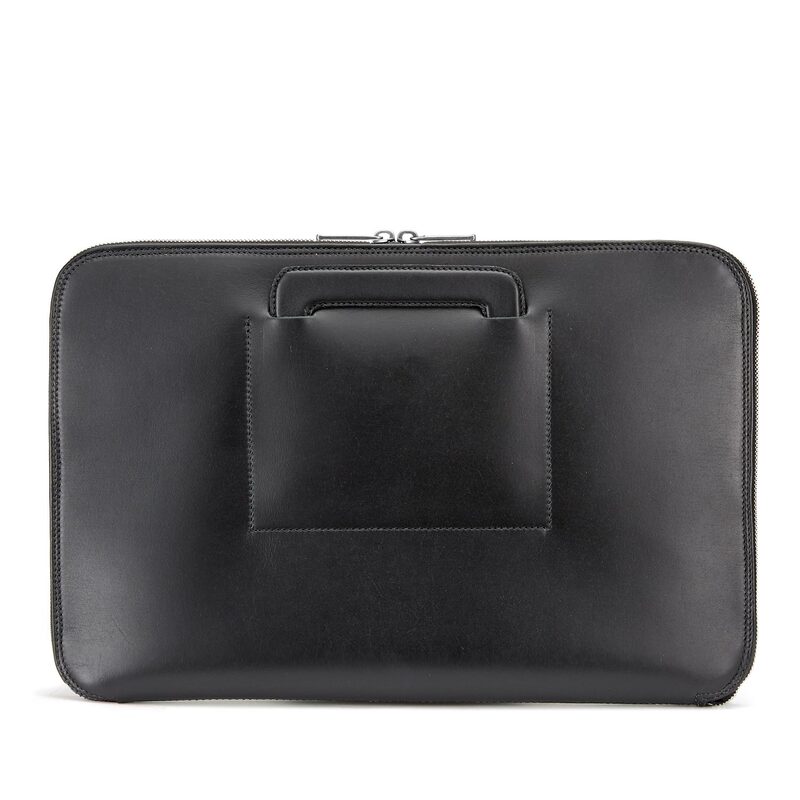 Handcrafted in our Black Atlantic full grain leather and fully lined in soft calfskin, its slim padded form accommodates meeting papers whilst protecting an iPad or slim notebook computer, phone, pens and cards etc. 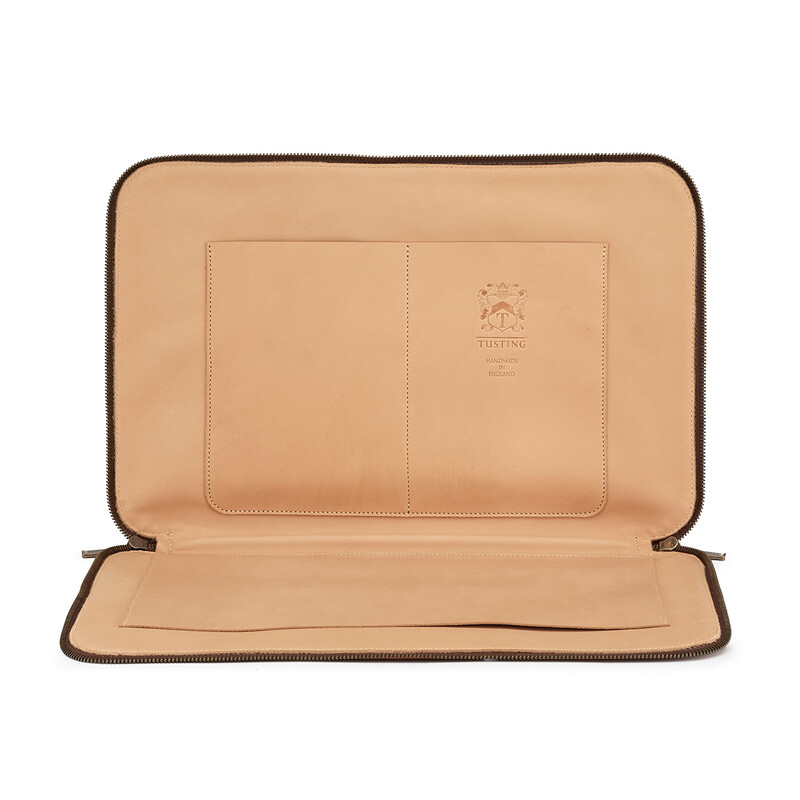 Handcrafted in our Tan Atlantic fullgrain leather and fully lined in soft calfskin, Its slim padded form accommodates meeting papers whilst protecting an iPad or slim notebook computer, phone, pens and cards etc. 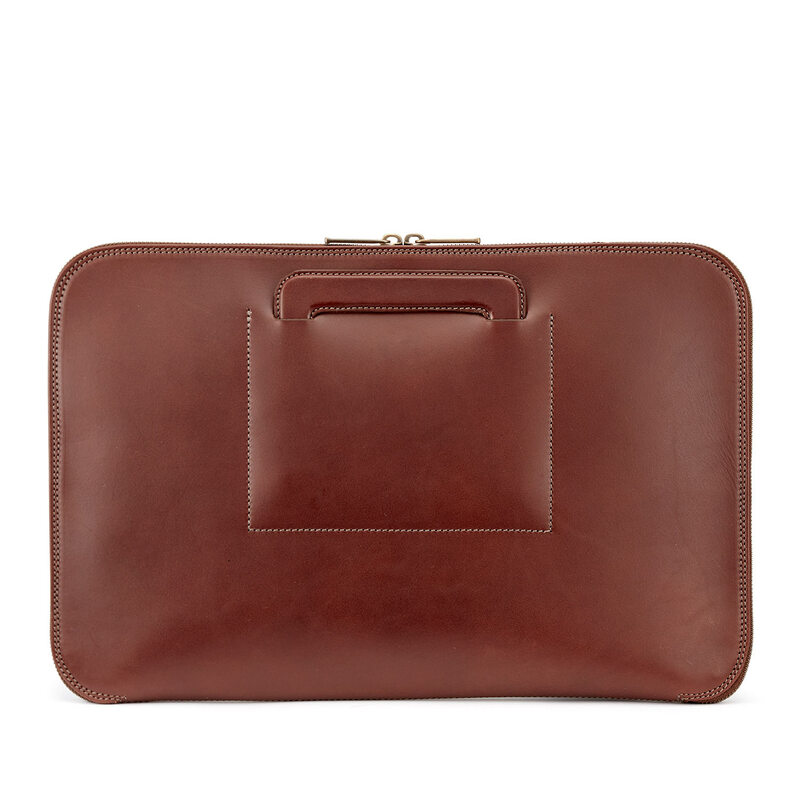 Handcrafted in our Chestnut Bridle fullgrain leather and fully lined in soft calfskin, Its slim padded form accommodates meeting papers whilst protecting an iPad or slim notebook computer, phone, pens and cards etc. 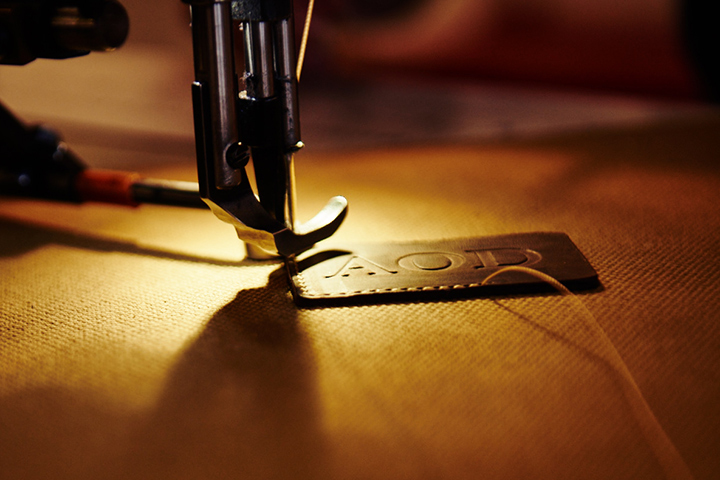 Our customers out in Japan were the first to ask us for handles on a folio. 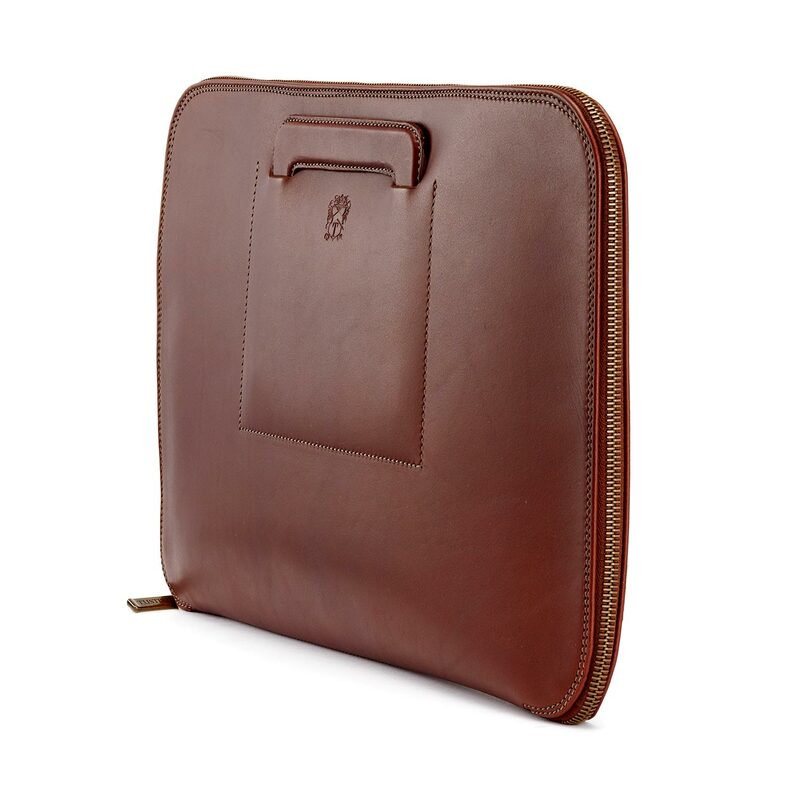 It might have seemed like an oxymoron, but the result is a triumph and now a firm member of our family of clever flat zip-round folios. 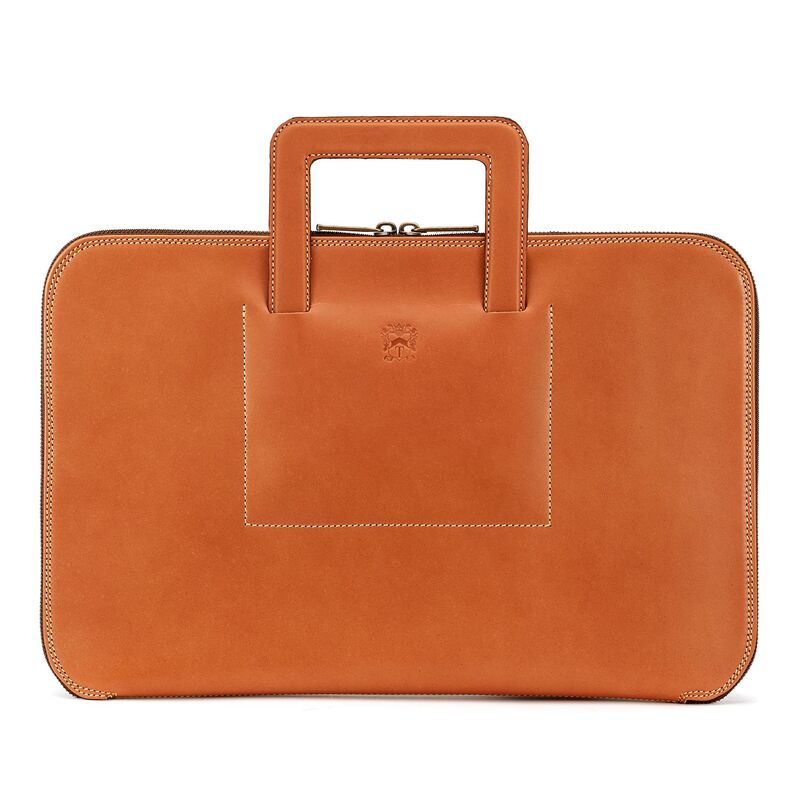 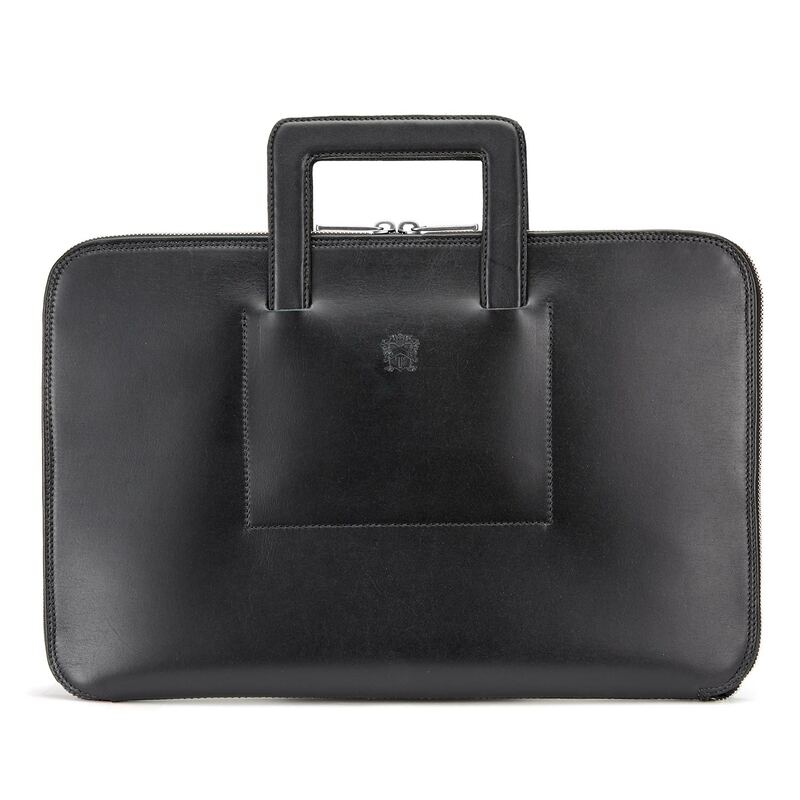 Tuck the Westminster under your arm, or even into a briefcase or tote, yet carry a multitude of things from a Kindle to a MacAir or passport to a newspaper as a full slim briefcase whenever the need arises.